Well, the winter will soon be gone and then we’ll have the beautiful spring upon us. 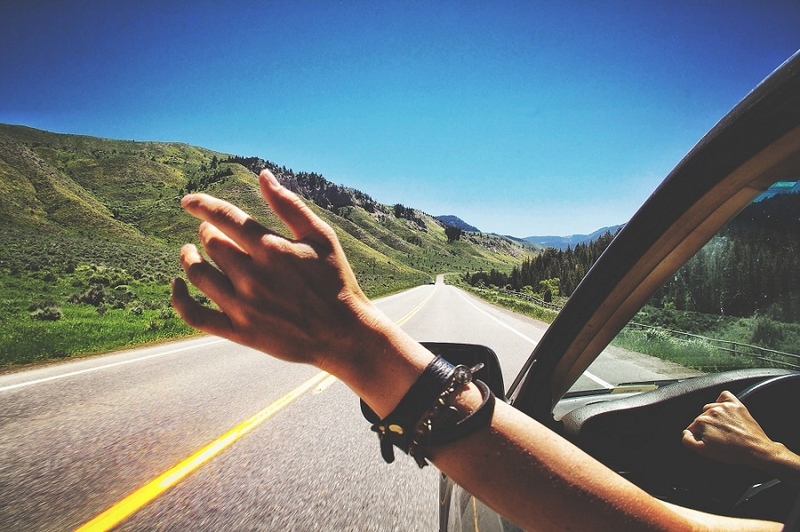 And what is the better time to take a road trip than during such a lovely season? Now this can be a trip across your city, a trip to the next city or even a trip all across the country. No matter how long your trip is, preparing your car properly for a road trip can save you a LOT of energy, money and time which would otherwise be spent in fixing small or big issues with your car. Just like you getting ready for your road trip, your car needs to get ready for the trip as well. So here are some very important things you have to keep in mind. That’s literally the first thing you should do. Your car needs to be checked by professionals so that they can figure out which areas it is lacking in, and do their best to make it perform better. Do not forget to schedule inspection of your car’s brake pads as well as other tune ups, like oil change. The better shape your car is in, the lesser trouble it will give to you. In case the service people did not check them, of course. Pay extra for the tyres or do the checking yourself – either way ensure that there are no bulges or tears on your tires. Make sure there is enough pressure in them and if you’re in doubt, match the figures in the owner manual of the car. If at all in doubt, ask professionals to step in, or better yet – get yourself a new set of tires. Items like a basic medical supply kit, blankets, small pillows, basic car tools as well as a couple of flashlights are essential. This is one of the most important things to keep in mind when thinking about how to prepare your car for a road trip. If you’re going the old way and find your way via maps, good for you but do buy the most recent map. Now if you’re using GPS, remember to update your map so that it shows you every shortcut and every nook and corner in the town or city you’re about to visit. Just in case something happened to your GPS system. It’s impractical, especially for those planning a nationwide road trip. Where will you even stash the new stuff that you buy? What if your car gives way in the middle of nowhere? Check your car’s battery to ensure that it is strong enough to sustain a long road trip. If possible, go ahead and read more on how to take care of your car’s battery, and what to do in times when it doesn’t work. Trust me, it’s going to really help you when you’re working on how to prepare your car for a road trip. Long road trips can sadly be boring. What can you do apart from talking to each other? At some point of time, you’re going to get tired or run out of topics to talk to. Then what? In such cases, bring along maybe a laptop or two. Keep a power bank with you as well, in case you exhaust your laptop’s battery and there are no nearby places where you can charge your laptop (or phone). Ask your friends to bring in their fav songs in their own pen drives as well. That way, they can enjoy their fav songs, while you will listen to new ones you didn’t know even existed. You have to know in advance where you will be stopping for breakfast or lunch, where you will fill up your gas tank, and where you can just stop to take a break. Open a map and research your route. Find out the distances between eateries, motels and gas stations. And if you’re going to drive an entire day, then ensure you take rest the next day. Let one of your friends drive. How to prepare your car for a road trip? Be flexible, of course, especially if you plan on sightseeing. So for example if you have a 10-day trip planned, keep aside 2 days, just in case something unexpected happened, especially if you’re with children. Sometimes you may like a place more than you thought you would and decide to spend extra time there. Don’t rob your family the opportunity of having a good time just because you’re on a schedule. Let them have fun! Make sure you also do some research beforehand about which places to visit, on which days and at what time so that you can plan your sightseeing efficiently. Patience is key, people. Sometimes you’ll hit traffic. Sometimes you’ll be driving so late in the night in order to reach your destination by morning that you'll be too exhausted to do anything but sleep the remaining day. Sometimes your car will give you trouble, and sometimes your children will. The point is that losing your cool is not going to improve your situation in anyway. So it’s best to maintain patience.